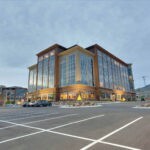 Big-D constructed a core and shell building with two tenant spaces and performed tenant improvements for those spaces. 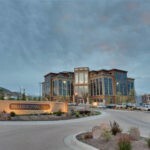 The Thanksgiving Park office complex serves the fast-growing, high-tech Utah County area, and Big-D recently added to the upscale office space it provides. 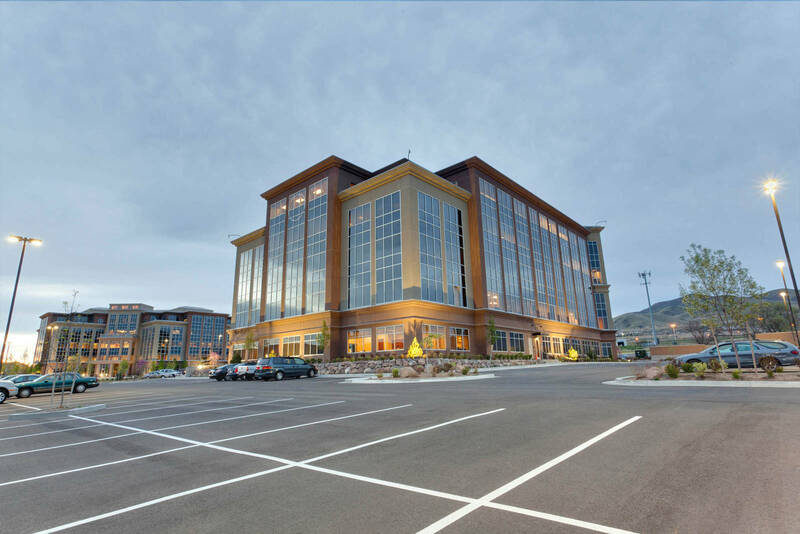 This 140,625-square-foot, five-story office building provides Class A office space with immediate access to the freeway and surrounding retail stores and restaurants. 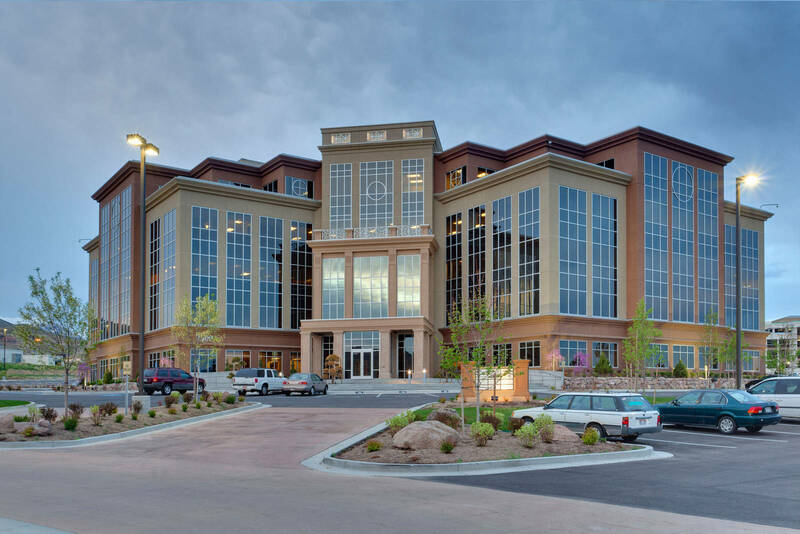 Big-D constructed a core and shell building with two tenant spaces and performed tenant improvements for those spaces. The building includes a sixth-level penthouse to store mechanical systems and is backed up by a 750 kW generator. Each floor is cable-ready. The Thanksgiving Park office complex site includes seven acres of landscaping and parking. 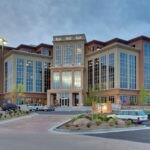 The core-and-shell finished interior areas include the lobby, restrooms, gym, corridors, elevator lobby, and stairwells. Common areas include high-end finishes such as granite wainscot, granite base boards, mahogany wall panels, decorative patterned granite floor tiles, faux Glass Fiber Reinforced Concrete (GFRC) columns, stainless steel restroom partitions, vaulted ceilings, soffit and tray ceilings, and an electronic kiosk. 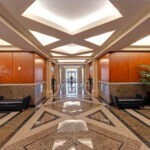 Big-D completed tenant improvements for AtTask and SirsiDynix concurrently with the core and shell build. 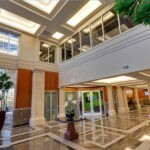 The $1.1 million, 44,225-square-foot AtTask tenant improvement included the entire third level and half of the forth level. 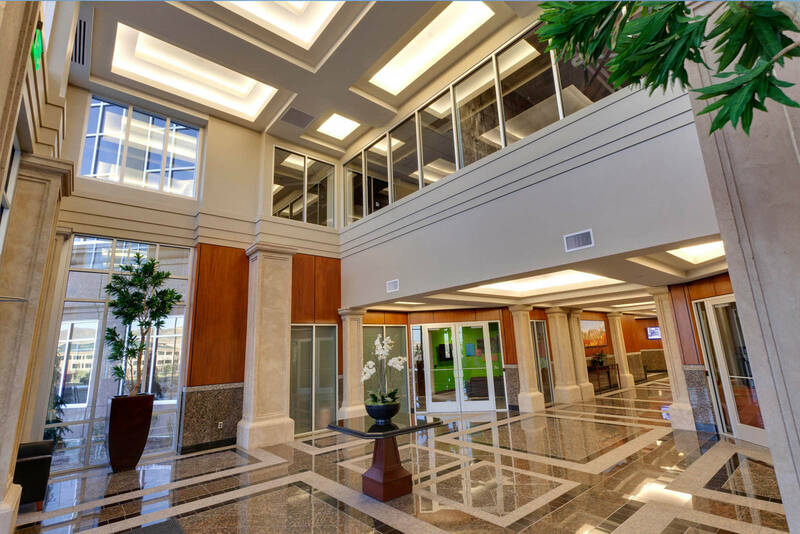 The Class A office space finishes included porcelain tile, granite countertops, perforated metal panels at the reception desk, mahogany veneer wall panels, and acoustic ceiling tile. 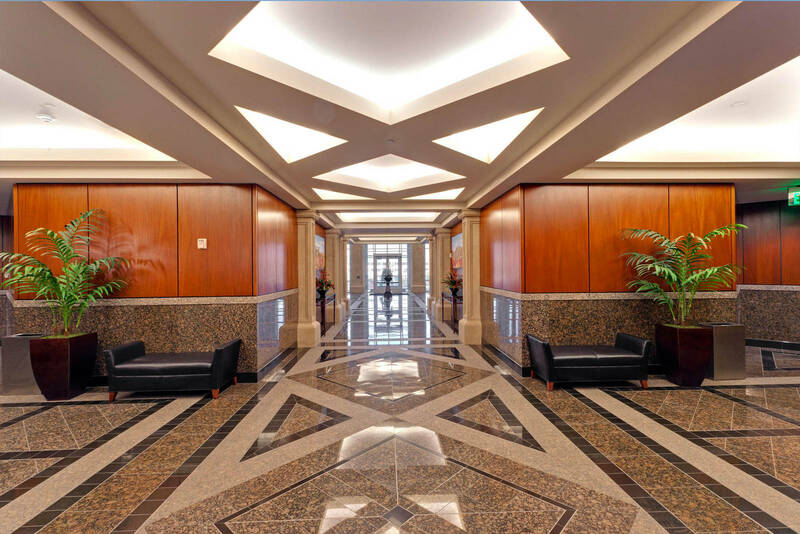 The $1.1 million, 33,514-square-foot SirsiDynix tenant improvement comprised half of the fourth level and the entire fifth level. 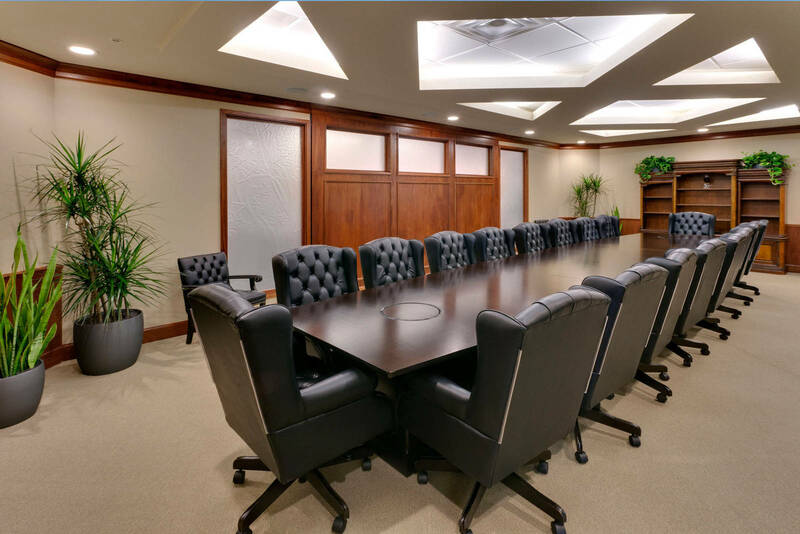 This Class A office space included high-end finishes such as wood veneer and granite countertops, acoustic ceiling tile, six-foot and eight-foot acoustic ceiling clouds, granite tile, marmoleum, and carpet. 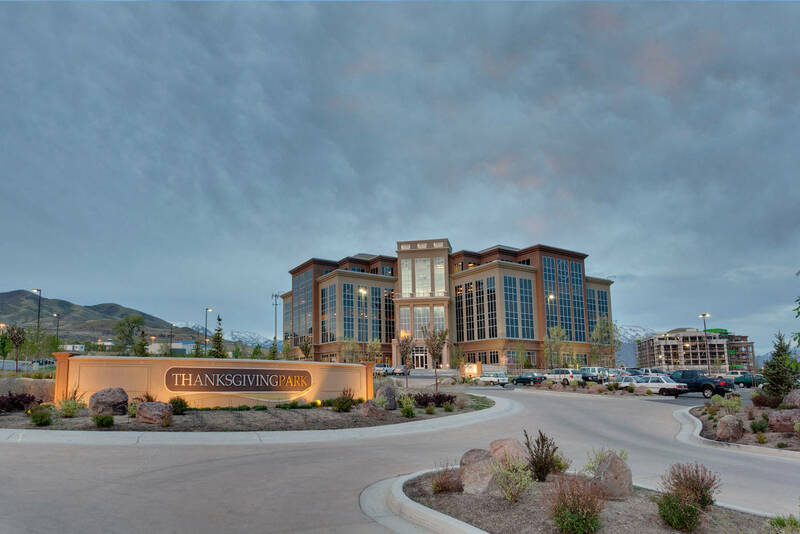 Thanksgiving Park is LEED Silver certified through the United States Green Building Council (USGBC). Many features contribute to sustainability, including energy-efficient lighting fixtures and HVAC equipment which save more than 20 percent on energy costs, underground detention ponds which collect water for landscaping, low-flow plumbing fixtures that save 500,000 gallons of water per year, showers and exercise facilities that promote alternative transportation, a white roof that reduces cooling costs, and large windows that allow in natural light—not to mention a spectacular view.